The Technical Director of Broadcast Info Tech Services at Home Box Office, Inc. presented us with an opportunity to create a rather unique and creative mural design for one of their giant tape libraries in Hauppauge, New York. Quantum Design Lab submitted mural design concepts (7′x24′) for that tape library, which is located in their Data Center. 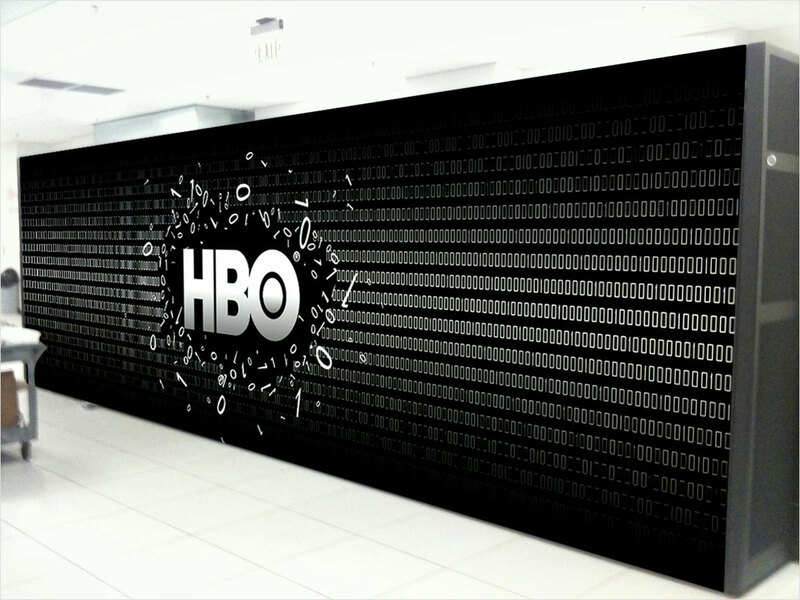 The goal was to communicate the computational aspect of the machine, with 1′s and 0′s (Binary Code), while integrating HBO’s main branding symbol.